Family pledge loans are now the only way to borrow 100% of the purchase price as traditional no deposit home loans have been withdrawn from the market. Did you know that there are stark differences between the family pledge supported loans offered by different lenders? With the help of a family pledge you can borrow over 100% of the purchase price which will allow you to buy a home and pay for purchasing costs such as stamp duty at the same time. First home buyer family pledge loan: 105% of the property value. Second home buyer family pledge loan: 105% of the property value. Investor family pledge loan: 105% of the property value. Construction family pledge loan: 105% of the property value & cost of construction. Low doc family pledge loan: Not available with a no deposit family pledge mortgage. See below for our 80/20 method of financing low doc loans with the help of a family member. Note: Most lenders will cap the loan amount at 100% of the purchase price with a family pledge or will require that you have saved a small deposit. Some of our lenders are happy to consider lending 105% which allows you to buy a property with no savings whatsoever. 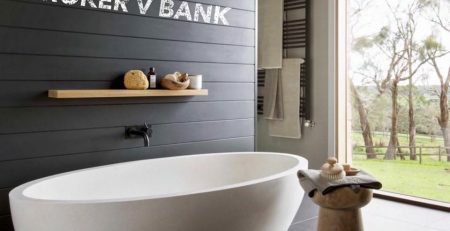 From the banks point of view, if you are borrowing more than 80% of the value of your property then there is a chance that the bank will lose money if you can’t make your repayments. Because of this they charge you a fee known as Lenders Mortgage Insurance to protect themselves in case there is a loss. This fee can be quite significant. Recently no deposit home loans have been withdrawn from the market making family pledge style family pledge loans the only way to borrow 100% of the purchase price or more. Save money by avoiding Lenders Mortgage Insurance (LMI). You can consolidate some minor debts such as credit cards when you buy your home as long as your loan does not exceed 110% of the purchase price. What types of family pledges are there? **Security guarantee: With this type of guarantee the family pledge uses real estate that they own as additional security for your loan. If the family pledge already has a loan on their property then in most cases the bank can take a 2nd mortgage as security. This type of guarantee is most often used when first home buyers are buying a home, have an excellent income, but no deposit. The family pledge is also called an “equity family pledge” by some lenders. Income guarantee: With this type of guarantee the family pledge is not required to provide any property as security. The family is pledging their income to be used to help to make the repayments. This type of guarantee is often used when someone is trying to buy a house in their name but is receiving help from someone who will not own the house to make the repayments. The income guarantee allows the bank to consider people in these circumstances who would otherwise be unable to qualify for a loan. Usually this type of guarantee is only for a short period of time where the borrower is on an initial low income period, such as student, probation, traineeship, etc. Once your income is enough to service the loan, you must remove the guarantee. 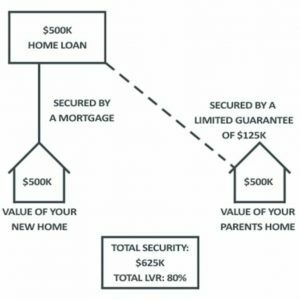 You cannot borrow more than 80% of the property value with an income guarantee in place unless there is also a security guarantee (see below). Note that not all lenders would consider income guarantee, and usually only on a case-by-case basis. Security & income guarantee: This is a combination of the above two guarantee types. A security and income family pledge is most often a parent helping their son or daughter who is a student or who has a low income to buy their first property. Family guarantee / parent guarantee: This is the name given for when the family pledge is directly related to the borrowers. Banks refer to this as a “parental guarantee”. Grandparents, siblings and other family members as pledgers can be considered on a case by case basis. **Limited guarantee: A limited guarantee is where only part of the loan is guaranteed by the family pledge. This is most often used with security family pledge so as to reduce the potential liability secured on the pledgers’ property. Guarantees can be either limited or unlimited, depending on both the family pledge wishes and the lenders requirements. Why do you need expert advice? Getting approval: Lenders are more conservative than ever, did you know that lenders are particularly conservative with family pledge loans? We know which lenders accept which types of guarantees and which lenders will accept someone in your situation. Know the terms and conditions: Some banks have simple terms and conditions for their family pledge loans and allow you to limit the amount of the guarantee. However many lenders will not limit the guarantee which means the family pledge could lose their home if you are unable to repay your loan. The exit strategy: The loan may have a term of 30 years however you don’t need to keep the guarantee in place for that long. We can help you work out a strategy of either making extra repayments or refinancing to remove the guarantee in as little as 2 to 5 years. Consolidating debts: Very few lenders will allow you to buy a home and consolidate your credit cards or personal loans at the same time. We know which lenders will allow you to roll everything into one simple, low repayment each month. Note that you can only consolidate a few minor debts, if your debts are over 10% of the purchase price then you will not be able to roll them into the mortgage with any lender. Your repayments must be on time, every time, before a lender will allow you to combine them into your new mortgage. First home or 2nd home? 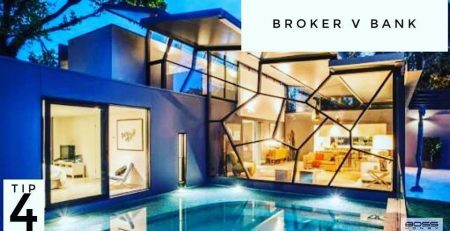 : Many lenders will not allow 2nd home buyers to buy a home using a family pledge loan as they expect that you should have a strong enough asset position to buy a property on your own. Still other lenders ask first home buyers to explain why they are able to pay a loan if they haven’t been able to save a deposit! We know which lenders are less conservative when assessing their family pledge loans. Investment loans: Only two or three lenders in Australia will accept investment loans supported by a family pledge. Family pledgers with a loan on their property: Many lenders will not take a 2nd mortgage as security for a guarantee. We have access to lenders that can accept family pledgers that are still paying off the home loan on their property as long as they have sufficient equity. Do you have any savings? : Even though family pledge loans allow you to borrow 100% of the purchase price many lenders still require you to prove that you can save at least 5% of the purchase price on your own. Talk to us to find out which lenders do not require genuine savings. Elderly family pledgers: Most of the banks and other lenders in Australia will not accept a security guarantee from an elderly family pledger. We know of lenders that can accept guarantees from pensioners and self funded retirees over 65 years of age. The loan is secured by both the property that you are buying and the property owned by the family pledge. It is quite simple, and if you use a limited guarantee then the family pledge can reduce their exposure to your mortgage. In the past lenders commonly allowed people to borrow 120% with a family pledge home loan and in some cases as much as 150% of the purchase price. These loan types are no longer available. The maximum you can borrow is 105% of the purchase price with most lenders and 110% if you have debts to consolidate. Many people wishing to buy a home have significant consumer debts such as credit cards and personal loans. If you are in this situation then generally you will be able to consolidate debts as well as purchase a property as long as your total debts are not more than 10% of the purchase price. Who can be a family pledger? Most banks will only allow parental guarantees, i.e. a guarantee from the borrower’s parents. Some lenders can consider guarantees from immediate family members such as siblings, grandparents, spouses, de facto partners or adult children. This is because banks want to make sure that the family pledger has a strong relationship with you. such as friends to help you with your loan. Generally if your family pledger is not part of your immediate family then you may be required to prove some savings as evidence that you are financially stable and the lender is also likely to restrict your loan to 100% of the purchase price. In the vast majority of family pledge loans we ask the lender to limit the guarantee secured on the family pledge’s property. This means they are not liable for the entire amount of the loan, only a portion of it. $300,000 value of the property you are buying x 25% = A limited guarantee of $75,000 How do lenders work out if your family pledge has enough equity in their property? The total debt secured on the family pledge’s property, for example their current home loan plus the new limited guarantee, must be less than 80% of the value of their property. For example if your family pledge had a home loan with $100,000 owing and they needed to give a limited guarantee of $75,000 then the total debt secured on their property would be $175,000. Their home must be worth $219,000 or more for the family pledge loan to be approved. Don’t worry if this seems complicated! We’ll work it all out for you. What names are used for family pledge loans? Every lender seems to have come up with their own name for family pledge loans! St George Bank uses the term “Family Pledge”, CBA uses the term “Family Support” or “Family Equity”, Rams uses the term “Fast Track” whereas ANZ and Westpac use the term “Family Guarantee”. Confused yet? Most people are able to remove the guarantee somewhere between 2 and 5 years after they initially set up the loan, although this can vary significantly. Because many guarantees are set up because the borrower has no deposit, removing the guarantee most often depends on how much the property appreciates in value and how much in extra repayments the borrower can afford to make. You can still remove the guarantee if you owe more than 80% of the property value however you may have to pay Lenders Mortgage Insurance (LMI) to achieve this. Guaranteeing somebody else’s loan is a major commitment and so you should always seek advice from the appropriate professionals such as your solicitor before deciding to proceed. If you want to discuss anything here in more detail, or find out which Family Pledge Loan may best suit your situation, please get in touch with me, Tom Uhlich, any time.